We were contracted to construct 62 new RV sites at Thousand Trails RV Park for their park expansion. This included the relocation and installation of approximately 4000 lf of new sewer mainline and services, 4000 lf of electrical conduit and approximately 100 lf of new water main line and services. 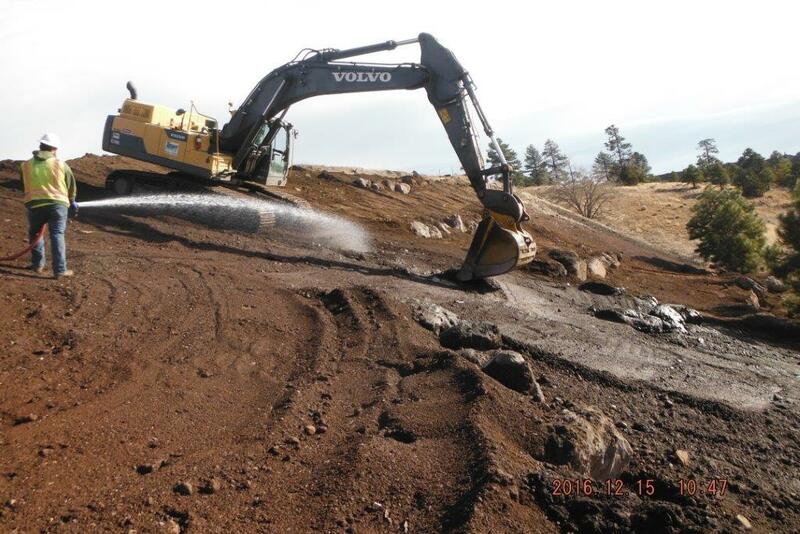 TCC was awarded this project by Coconino County as part of the effort to reclaim and restore a section of the Rio De Flag natural water channel from previous industrial use. 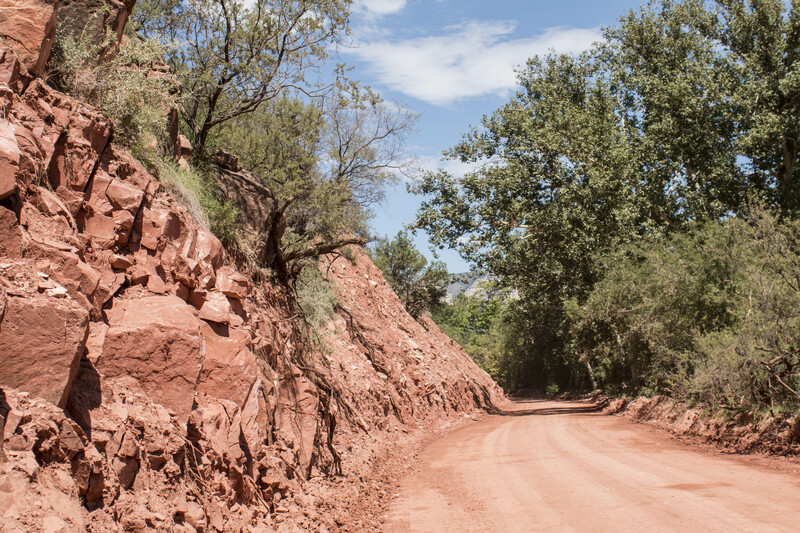 In conjunction with Coconino County and the City of Flagstaff, we are also extending the Flagstaff Unified Trail System (FUTS) through the project and adding viewshed berms and an enhanced trailhead while preserving existing archeological sites. The project entailed extensive and intricate grading of slopes and viewshed berms, setting large boulders to replicate existing rock outcroppings, erosion control including rock check dams and rip rap, pulverizing 5,550 sy of existing 10” thick asphalt, placement of 2380 sy of 4” asphalt, placement of 800 sf of 8” concrete pad, 2230 lf of fencing and gates, relocation of reclaimed water line and new valve house, drainage piping and extensive irrigation including trees and shrubs. We completed this project on budget and ahead of schedule. This project entailed all underground mainline and services for sewer, domestic water, gas and firelines including tie-ins to existing facilities for the new CH-8 building at Intel’s Chandler Campus. We also installed storm drain, drainage structures, detention basins, and grading and paving of all roadways and parking lots. L’Auberge was one of our most complicated projects to date. We were tasked with managing and coordinating the construction and redesign of one of Sedona’s premier resorts while the resort remained open. This project utilized and tested the skills of our project managers and foremen. Working closely with Shephard-Westnitzer’s design team, our project manager directed our crews in rock excavation, utility installation and site construction for 36 pre-manufactured cabins added to the existing resort including 19 cabins placed on the hillside, supported by caissons as well as a two level, 150 stall parking garage while coordinating with over a dozen subcontractors who were working simultaneously. We successfully faced each challenge while maintaining satisfaction with subcontractors, agencies and the client. 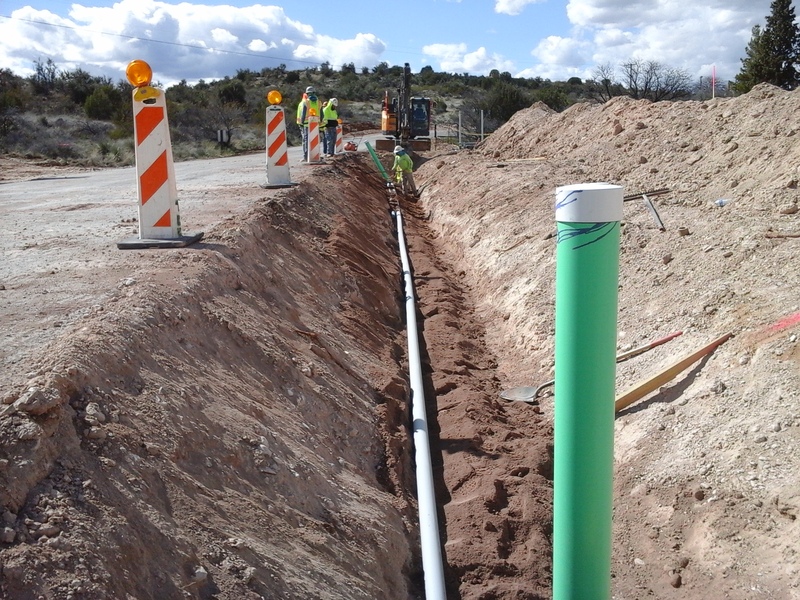 Tiffany worked with APS and the US Forest Service to improve an access road through eight miles of “Protected Wilderness” on Casner Mountain, which provided access to APS’s 750 KVA Highlines. We worked closely with the Forest service to protect the area’s environment and minimize impact while meeting the Client’s needs. During this project we encountered two feet of snow cover and faced many challenges of safely mobilizing crews and equipment to a remote site. The client was extremely pleased with the expedience and quality of the work performed and the manner in which it was accomplished. Working with the design engineer and the City of Sedona, we were able to trim over a million dollars from the original budgeted amount. This was a complex project regarding construction and scheduling as the project was completed while the many retail shops, restaurants and hotels remained open during peak season. Our work included asphalt paving of Hwy 89A, intricate demolition, decorative concrete sidewalks (redesigned to be ADA compliant), retaining walls, utility relocations (including coordination with various utility providers), installation of new utilities and storm drain. 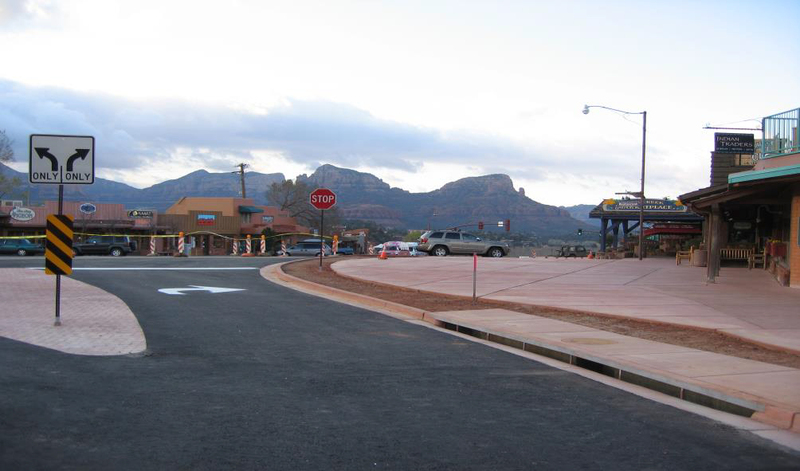 The project was completed on schedule and within budget, receiving numerous commendations from the City of Sedona and the merchants for our diligence, professionalism and our responsiveness to resolving potential issues.